Catching the Aurora Borealis or Northern Lights display is on many people's bucket list. It was on my list as well. Now that I had several encounters with the phenomenon, and having seen many questions and misconceptions in travel forums etc, I would like to share what I know on the hunt for the Aurora Borealis. Generally, the lights occur in locations above the Arctic Cirlce, and can be seen on dark clear nights. 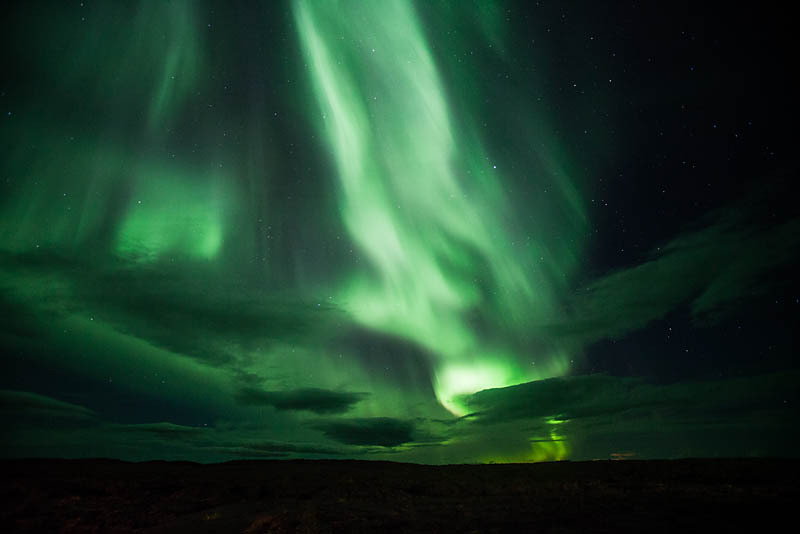 The two main criteria in order to see the lights are the the weather, or rather the cloud cover, and the "aurora activity" (the amount of the charged electrons in the atmosphere which causes the light show). Needless to say, you would need a night of clear weather (no/little clouds) and high activity. There are many websites that provide a forecast of this "aurora activity". The one I use is at the Geophysical Institute, University of Fairbanks Alaska, where you can select which region/zone for the forecast. As for the cloud cover forecast, you would typically go to the respective country's weather forecast page. Which brings me to the next point, which country/place is the best? I have been to Finland, Sweden, Norway, and Iceland for the sightings, and frankly, if the above two conditions are met, any of these countries, including Alaska/Canada are all good bets. However, the aurora visibility window is generally between late September to late March, which means it is mostly late autumn to winter at those places. So, it would boil down to what kind of trip you want it to be. If you like to DIY, be flexible and have your own time, then a self-drive trip to Iceland or the Lofoten islands in Norway are great choices. 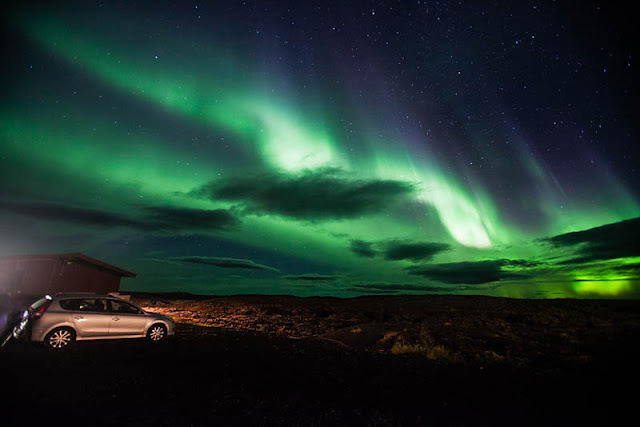 In addition, if you have time for more than just aurora hunting, then Iceland certainly come up tops as there are many other attractions, including volcano visits and waterfalls etc. For a full-blown winter holiday though, note your driving capabilities in the various countries. For those who are going with family and kids should look at Finland as there is a Santa Claus village which I'm sure the kids would enjoy! If however, you can't (or don't want to) drive, then relying on public transportation is trickier. Of course, signing up custom tour packages is the easiest (and costliest) choice. 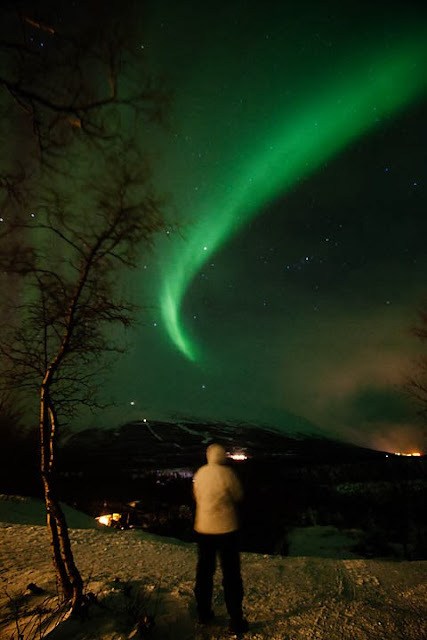 However, I do not have much information on that, except that Tromso in northern Norway is a popular destination for Aurora hunters as there are many tour agencies specialising in that. For the independent traveler (solo or otherwise) relying on public transport, then the Lofoten islands may be the better bet. Even better, check out Abisko National Park in Sweden. I do feel that the availability of trains and slightly better transport connections make them better alternatives to, say Iceland and Alaska, where it would be logistically more challenging in winter especially for the solo backpacker. A point to note, based on my own experiences, is that even though the aurora forecast indicate low activity, but the cloud cover for the night is clear, it is always worth a shot to check out the sky periodically. I had 2 occasions where I had good sightings even though the forecast was low. It is a forecast after all. So for those who are planning the trip on your own, make sure your accommodations are in less light-polluted area (preferably not in the city) or you are able to reach one. 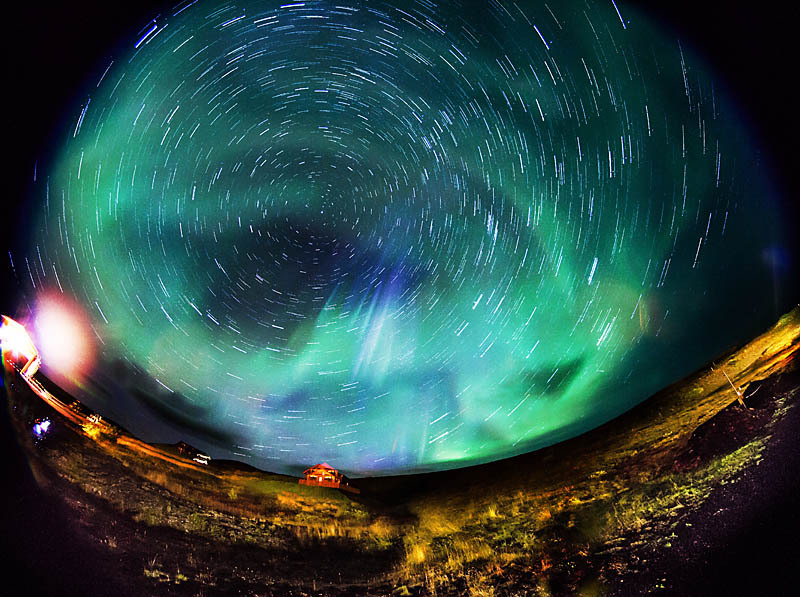 But if you are really lucky, when the aurora activity is really high, they can be seen even in the cities! Finally, I would like to touch on the expectations of a Aurora Borealis sighting. 1. 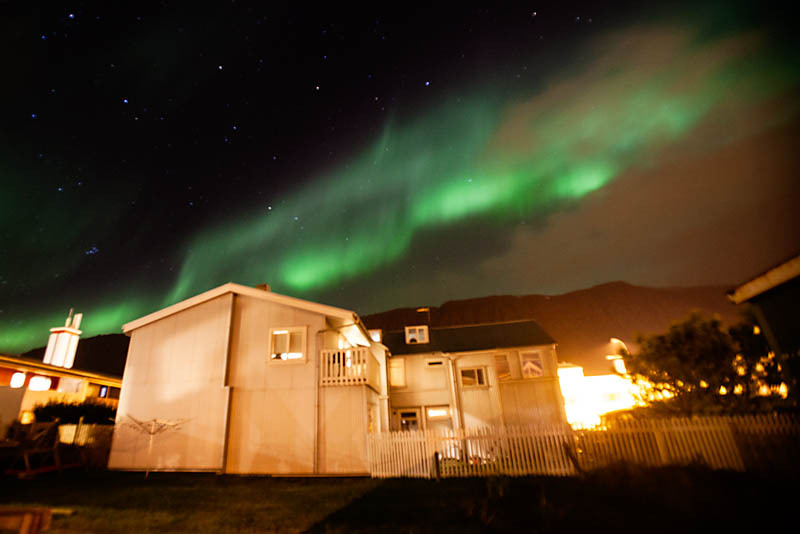 The lights appear really faint, and some cases you are not even sure they are the famed northern lights. You can only confirm through longer exposures on your camera to see the stronger green lights. 2. The lights appear clear and beautiful. They slowly appear and dissipate, changes shape gradually, and is absolutely mesmerising to watch, though whether they last 10 seconds or 10 minutes is another matter. But it is truly worthy of its place in all the 'bucket list' lists in the world! 3. And then there's the performance. The lights swirl in the sky like a writhing snake and danced across the sky like a leaping ballerina. You'd think it's a timelapse movie but it's all live action. Totally mind-blowing and out of this world! Aurora activity follow a 10-12 year cyclical pattern and recent reports indicate that the peak had just passed and chances will be lower in the following years. For those who have this in their bucket list (you mean there are people who don't have? ), you have now till March next year to try to catch it. (You can still try in later years of course, just that it's lower chance of sighting, that's all). By all recent accounts (including my own glorious sighting in Sep), the sightings this year had been phenomenal. Good luck, and may the Lights be with You!